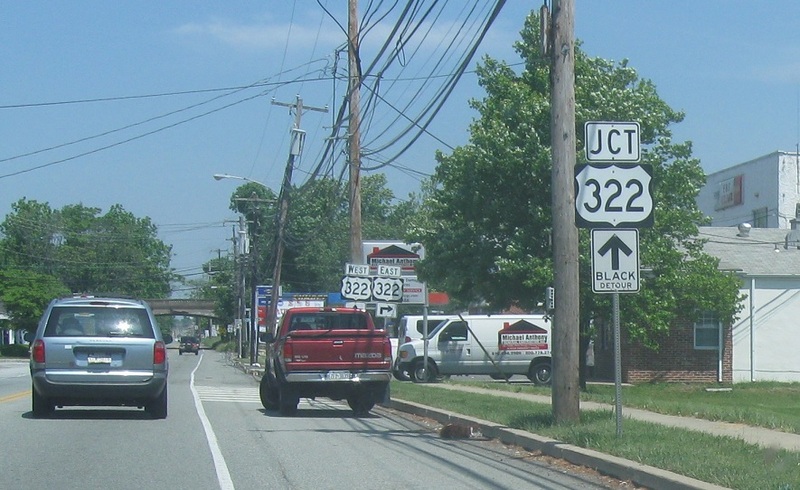 Reassurance shield at SR 3012. 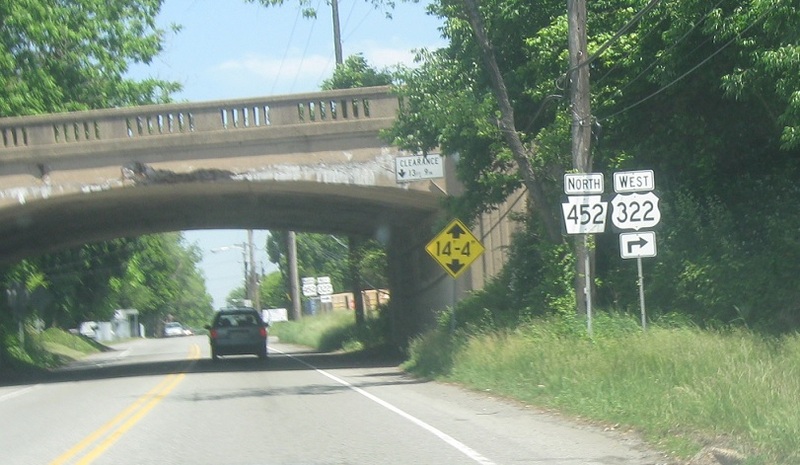 Just after that we’ll approach US 322. 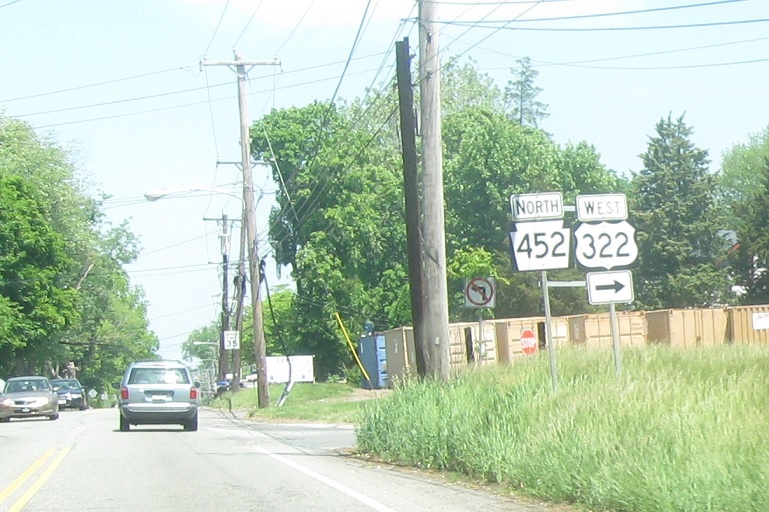 Turn right ahead to access US 322 east. 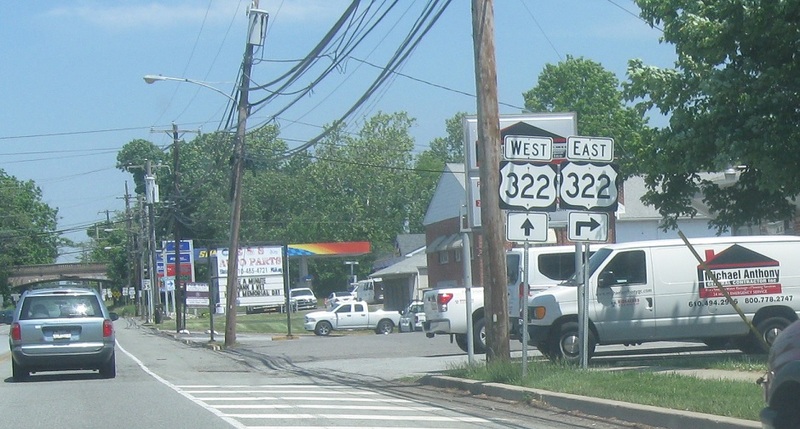 Turn right for US 322 west. 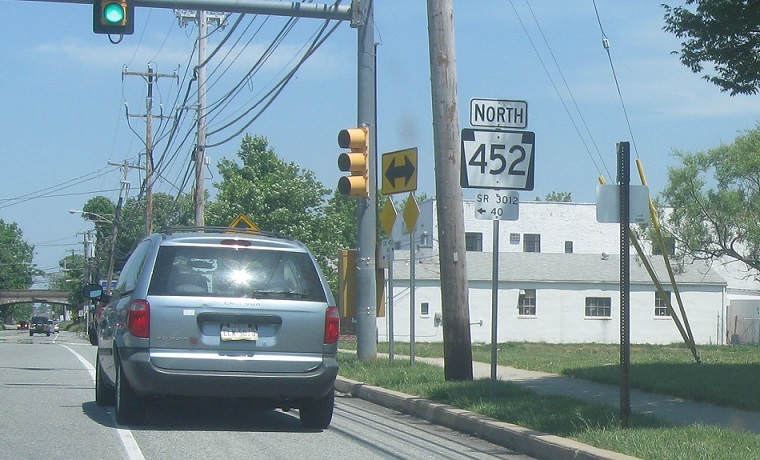 Turn right for 322 west. 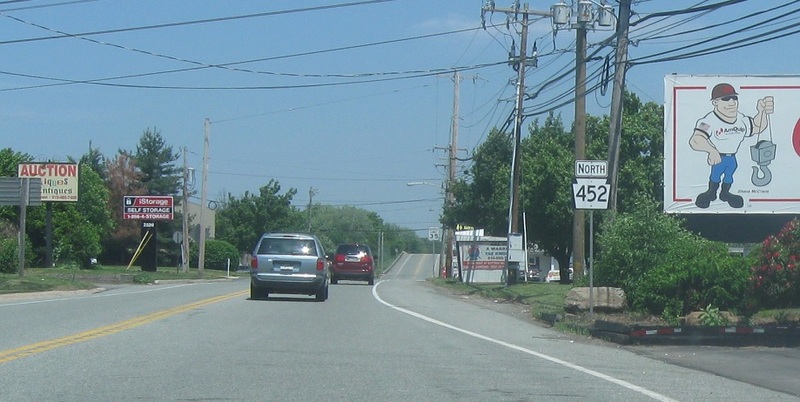 Stay straight for 452 north.